Little House London specialises in building unique, one off, highly detailed, wall mounted 3D architectural scale miniature models of any building, of any description. Each order is bespoke to our client’s particular requests, and really are personal ‘works of art’. Little House London have built many ‘four dimensional’ architectural models, including their landscapes, but these can be awkward objects to display and position in the home as they take up a lot of space. LHL’s unique selling point is that each model is designed and built to fit inside a box picture frame that can be hung on your wall anywhere in the house or work space. This flexibility allows LHL the opportunity to capture the façade of your home and frame mount it to fit in with the décor of the surroundings. Using methods that are unique from others, LHL specialise in truly capturing the presence of your house, home or office. Their work is highly detailed and they are meticulous in their methods to produce truly charming models with personality and character. 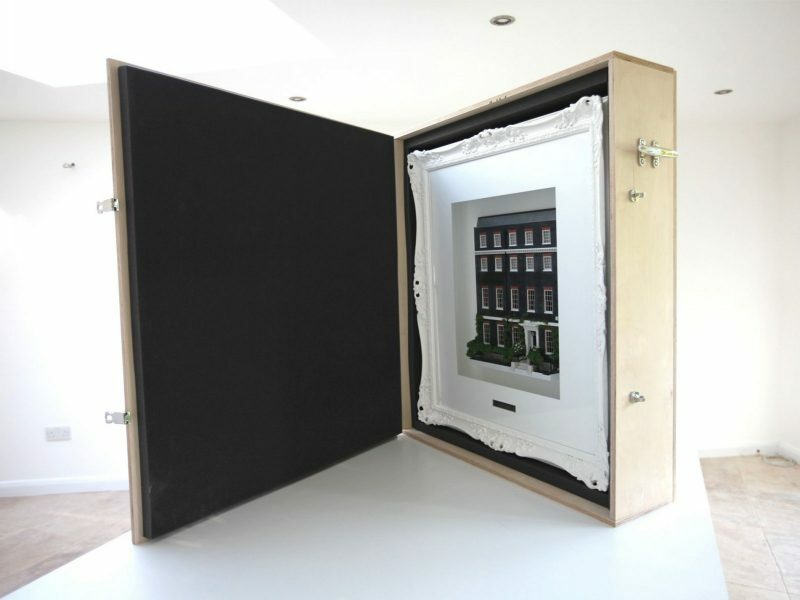 Little House London’s architectural wall mounted scale models are perfect gifts and mementos for both personal and corporate use, and make ideal showpieces in the office or reception, providing the perfect centrepoint in any room. 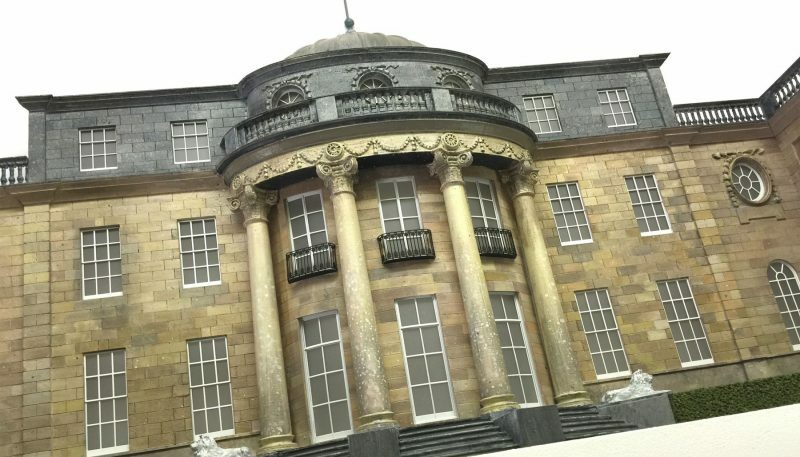 Having evolved from traditional 2D water colour house portraiture methods, LHL’s 3D model-making and presentation techniques enable maximum visual exposure, enhancing the beauty and depth of each miniature model. Embracing a new concept in 3D interpretation, each model is painstakingly created by hand with astounding attention to detail and accuracy to capture the very essence of the original. The process begins with a site visit if possible or through the best quality photos and images supplied by you. From this, Little House London can work out which part of the building you would like to focus on and then to record as much data as possible using pictures, close up details, a measured architectural survey and colour tone recordings. They try and capture as much of the façade including any greenery and foliage as possible, including some of the front garden. A full range of AutoCAD drawings are then constructed to work from. At this point, the size of your model and picture frame can be confirmed. Once finalised, the drawing is then broken down into many layers from which the majority of the model is constructed. Using the latest technology, laser cutting and engraving techniques are then used to create the most accurate and precise forms and facades of the model to create the foundations. If necessary, 3D printing technology is used to create any organic and sculptural elements. The models are then painted by Little House London’s professional scenic film painters and craftsmen using old and modern techniques, to create superb quality ‘life like’ architectural models with a real ‘wow’ factor as you can see from the images. Each model is carefully framed in specially designed bespoke solid hardwood box frames constructed by LHL’s local cabinet maker. Most projects can take up to three weeks to create depending on the complexity of the brief. The workshop is based in Edgware, North London and fully equipped with the latest cutting edge technology and machinery, allowing Little House London to push the boundaries in traditional model making and fabrication techniques. Little House London is a small company formed by Kalpesh Patel in 2016 – a gifted and creative model maker with 20 years experience in architectural models and film/TV prop model makers within the British Film Industry. Kalpesh very quickly established himself in the architectural and model making industry for producing models that looked so realistic on camera that it was hard to tell if they were real or not! Little House London operate from a private workshop in Edgware, North London and meetings are strictly by appointment only. It’s always best to send us an initial image of the type of property you have in mind to give us an idea of the work involved. We can then discuss the overall size of model you require and most importantly, the level of detail you require. All quotes are based on the merits of each individual project.